Set a New Standard in Entertainment! Entertaining and challenging typing games offer multiple ways to play games for typists of all levels. Choose the length of time, words-per-minute, and level of difficulty. 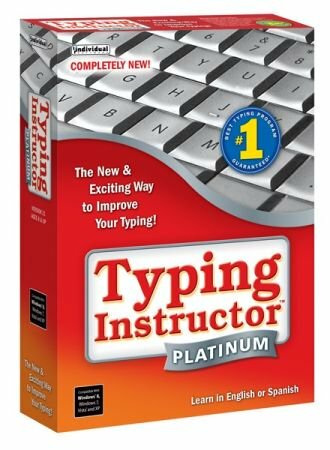 Typing Instructor Platinum has over 30+ game challenges that teach specific typing skills, such as speed, accuracy, rhythm, dexterity, and retention. Pentium® P4 • Microsoft® Windows® 10, Windows 8, Windows 7, or XP • 580 MB Hard Drive Space • 800 x 600 16-Bit or Higher Display • 16-Bit Sound Card • Speakers or Headphones.